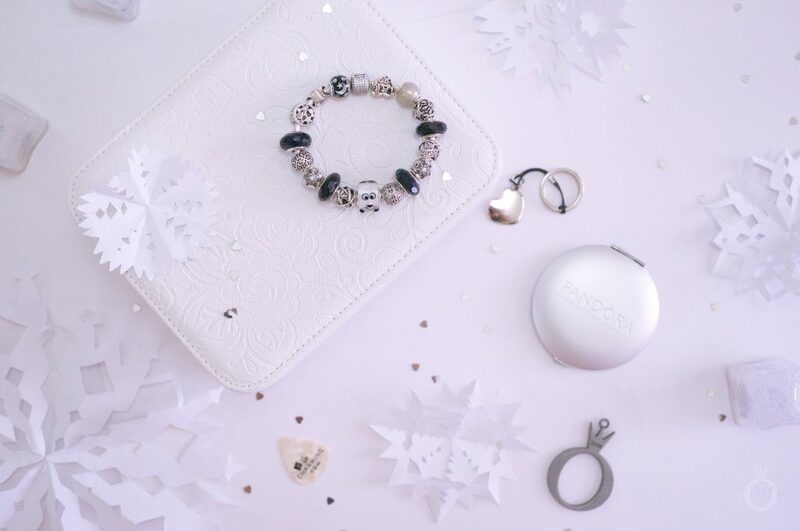 Much of the PANDORA Winter 2018 Collection is themed around chilly weather and chiseled ice. 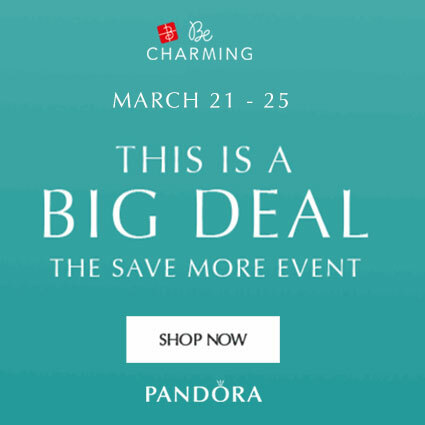 Therefore it was a fitting time to introduce the PANDORA Heart Melter Murano Charm (797515). 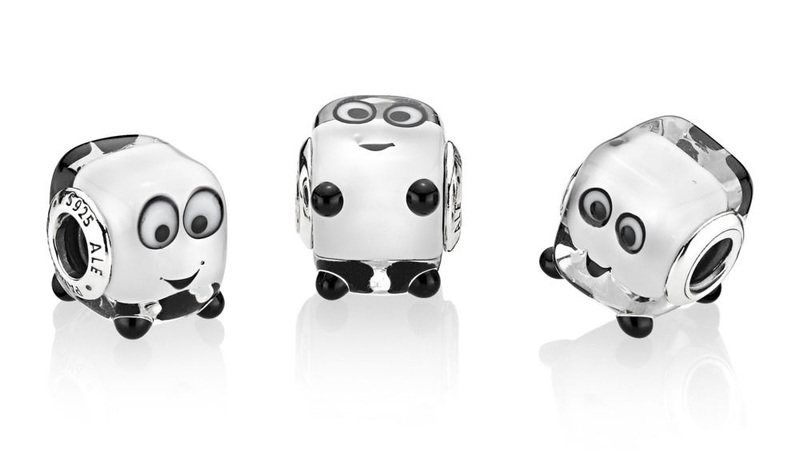 Shaped like a little ice cube, the Heart Melter charm is PANDORA’s first square shaped Murano. This cool chap caught my eye and just had to come home with me! 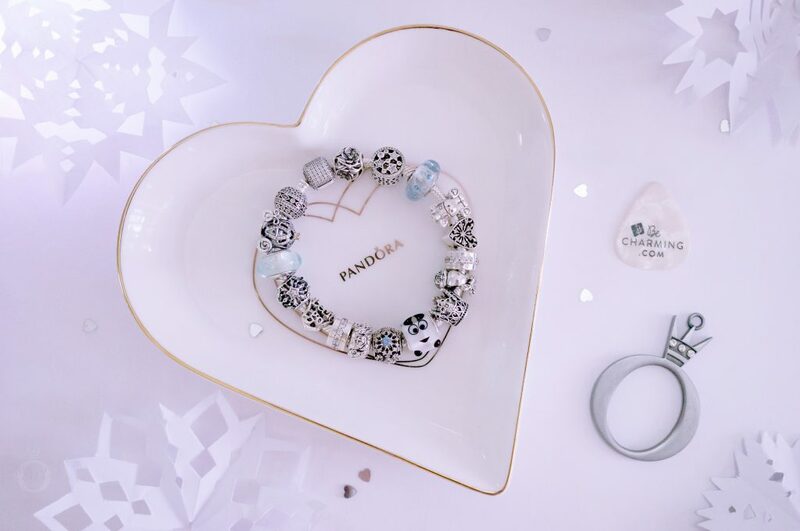 With a white glass core surrounded with square shaped glass, the PANDORA Heart Melter Murano Charm (797515) really does resemble a small ice cube. However, the friendly face that peeps out either side of the charm will make you think twice before using it to cool your drink! 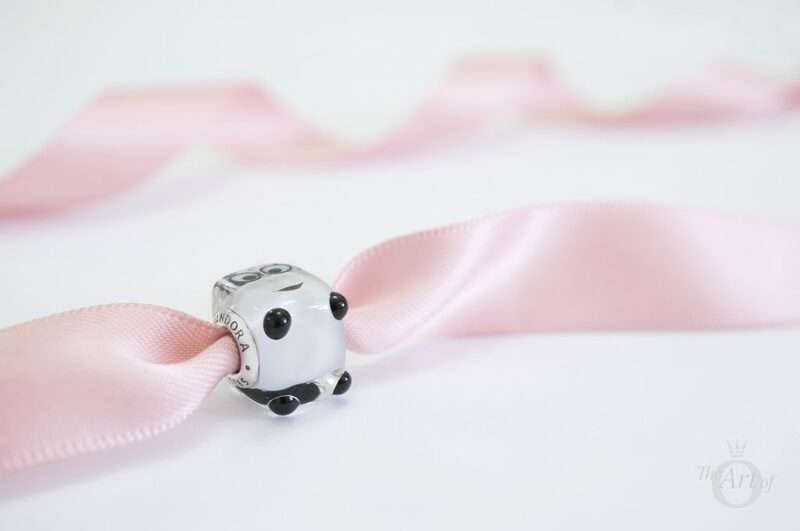 Each PANDORA Murano charm is unique as they are individually made by hand. Notably the two faces either side of the Heart Melter Murano are slightly different to each other. The space between the eyes in larger on one side and the eyes are positioned higher up on the glass. Because of this small difference the Heart Melter appears slightly surprised! The standard hallmarks, ‘PANDORA’ and ‘S925 ALE’ are stamped on one side of the silver core on the Heart Melter Murano. The Heart Melter Murano isn’t a complete square, as he has four tiny feet made from black glass which stick out underneath him. 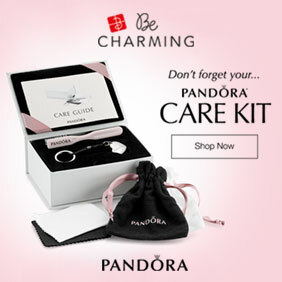 Like most PANDORA Murano charms the Heart Melter Murano has a threaded core. Combined with the thickness of the glass this makes the charm marginally heavier than classic Murano charms. 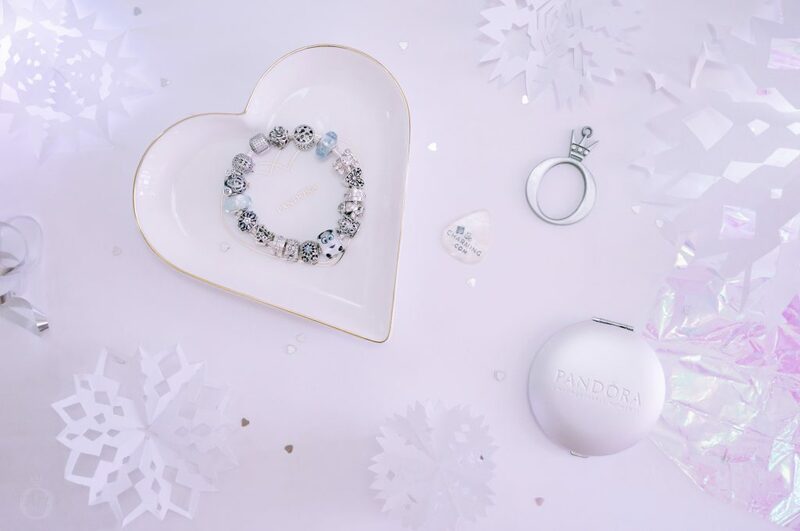 My first style with the PANDORA Heart Melter Murano Charm (797515) is full of the dazzling magic a flurry of snow brings on a dark Winter night. Set on the Signature Pavé Clasp Bracelet (590723CZ), shimmering flecks of glitter fall like snowflakes within the Fascinating Stardust Murano (791628) charms. Contrasting against the midnight blue facets is the Heart Melter Murano with its white glowing glass. 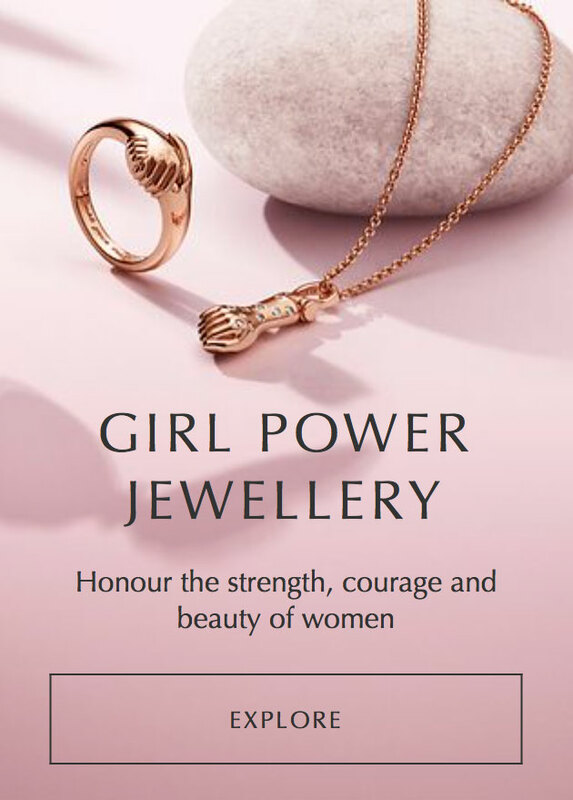 Each unique snowflake is represented with the intricate patterns on the Openwork Lattice (791295CZ) and Glittering Shapes (796243CZ) charms. The crystal clear night sky displays Illuminating Stars (796373CZ), Celestial Mosaic (796400MMB) and a Sparkling Galaxy (791388CZ) far, far away. Meanwhile the Crystalized Snowflake Clips (791997NMB) echo silent orbs of snow which continue to steadily fall. 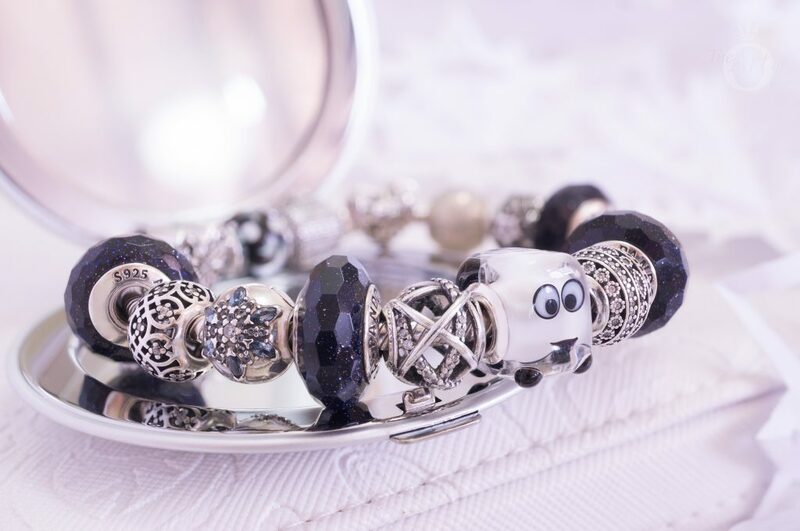 This review takes an unexpected change in my second styling with the PANDORA Heart Melter Murano Charm (797515). Instead of a cold theme, this design is inspired by Olaf the lovable snowman from Frozen, who dreams of Summer! Unfortunately, unless Elsa is there to help, we know what happens to snow in Summer. And that is where the Heart Melter Murano fits in! 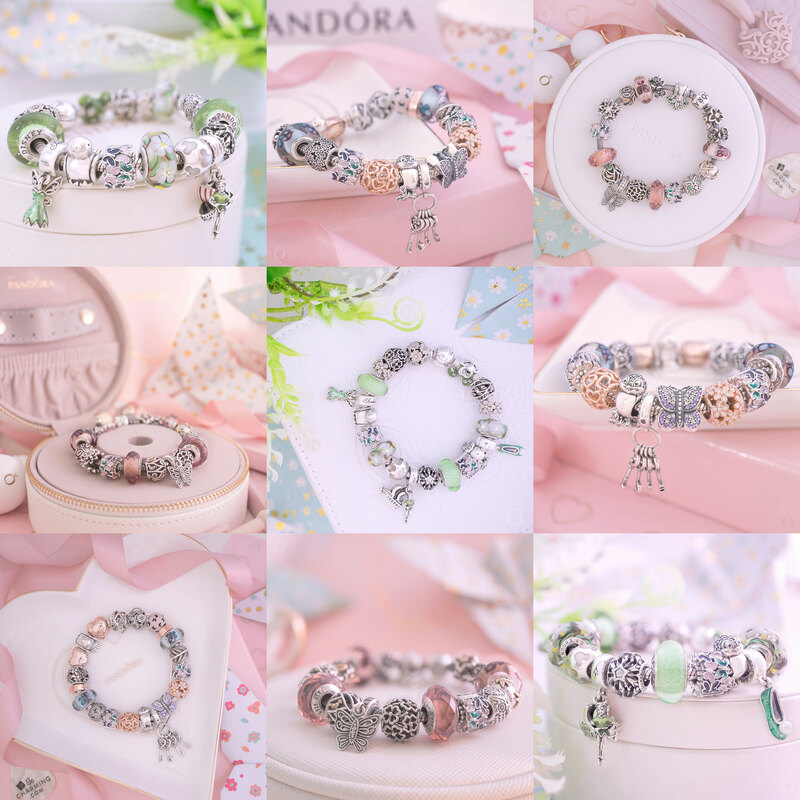 This fun style is set on the classic PANDORA Moments Barrel Clasp Bracelet (590702HV) and filled with a beauteous bounty of Murano charms. Olaf’s buzzing bees dance in the Enchanted Garden (797014) and the smell of Cherry Bloosom (790947) fills the air. 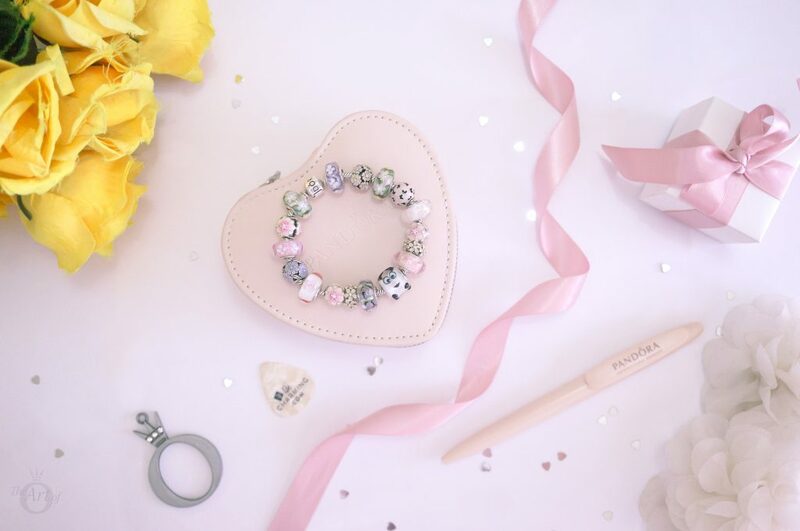 Interspersed between the glass beads are the pretty Magnolia Bloom Clips (792078PCZ) and matching Magnolia Bloom (792087PCZ) charm. Sweet Pink Glitter (791670) floats like dandelion fuzz around the Purple (791667) and Pink Field of Flowers Murano (791665) charms. 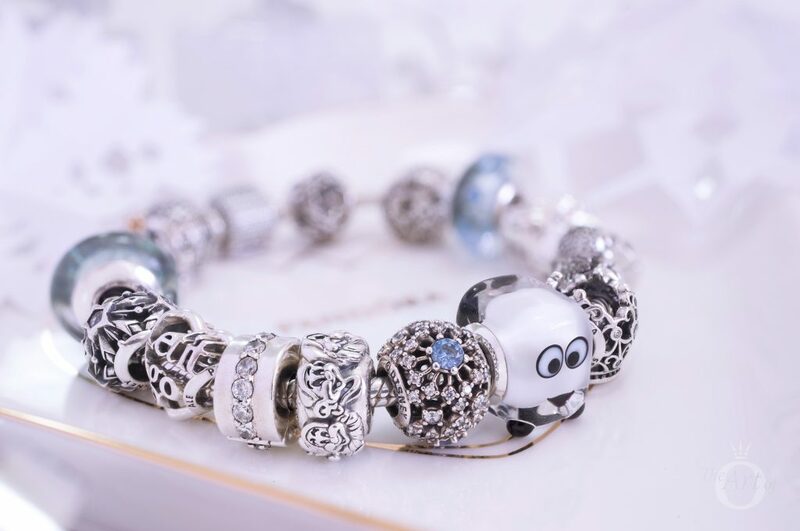 Finally, the last styling with the PANDORA Heart Melter Murano Charm (797515) is reminiscent of Queen Elsa’s ice castle. 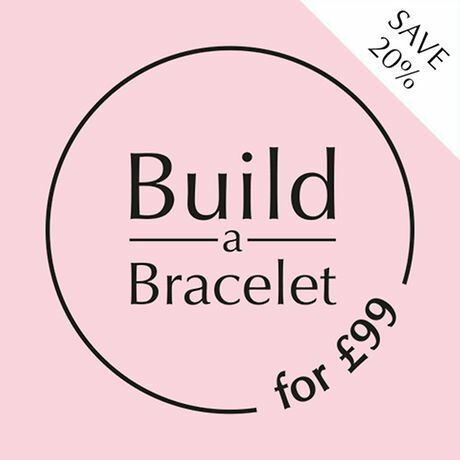 The Signature Pavé Clasp Bracelet (590723CZ) provides the perfect backdrop to this icily beautiful design. Cool shades of blue burst into the design from the Cinderella’s Wish (791592CFL), Ice Drops (796365CZB) and Elsa’s Signature Colour Murano (791644) charms. Inside her palace, Elsa sings Let it Go (791596) whilst creating a Snowflake blizzard. Meanwhile the Seven Dwarves All Around Spacer (797491) guards Elsa and her Princess Crown (791580CZ). 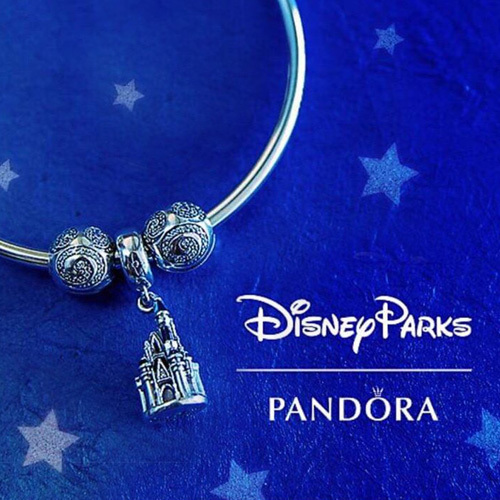 If you are looking for the perfect gift for a Frozen fan the Let it Go charm is currently just $28 at BeCharming.com or £15 at the UK PANDORA eStore. 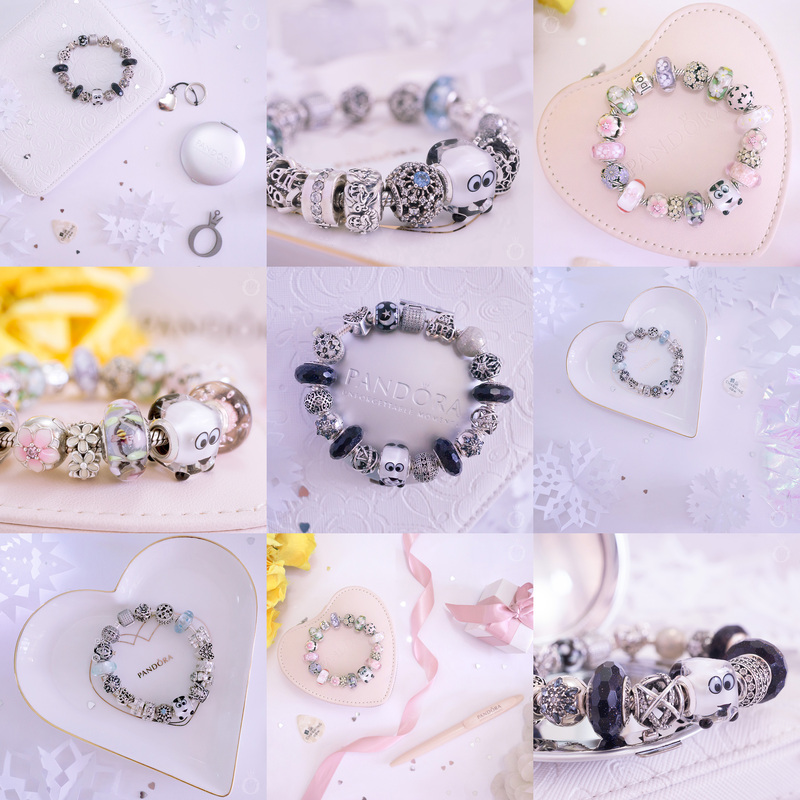 My verdict on the PANDORA Heart Melter Murano Charm? He is the cube root of love! 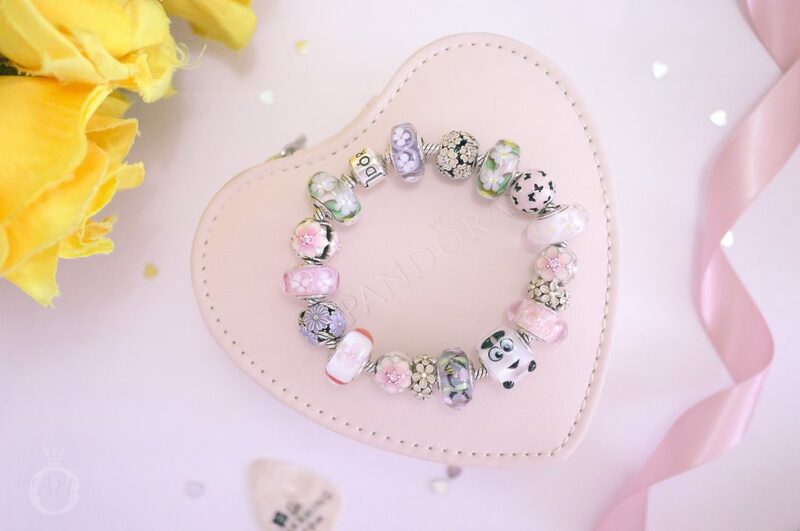 I love the quirky and creative design of the Heart Melter Murano but I don’t really feel that it is a statement piece, hence the lower marks for ‘wow factor’. 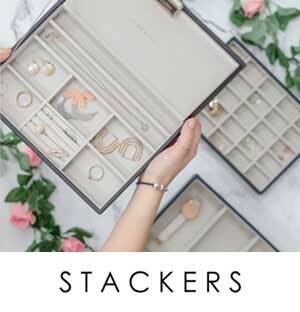 Priced at $40 USD or £30 is good value and would make a lovely addition to any PANDORA collection. 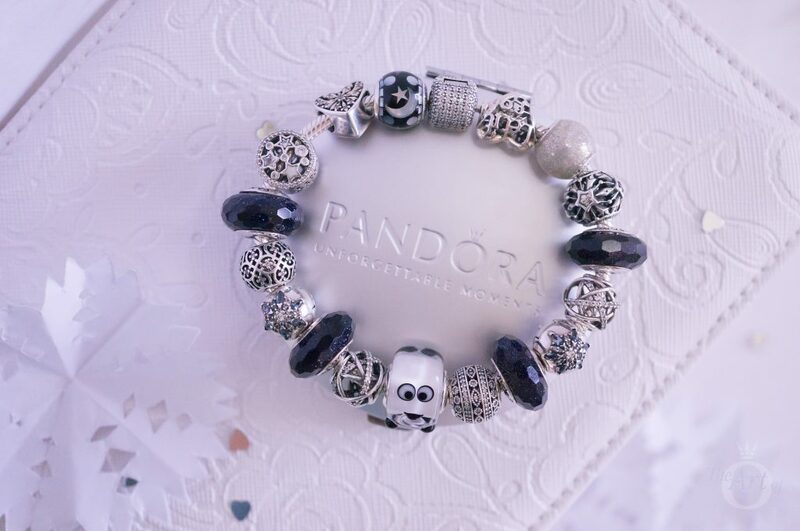 In the UK the PANDORA Heart Melter Murano Charm (797515) is £30 and is available from the PANDORA UK eStore. While I’m not a fan of the heart melter, something else caught my eye. I never paid much attention to the Glittering Shapes charm before. It’s beautiful – the beaded detail is gorgeous! So I like style number one the best! Yes the Glittering Shapes Charm is very pretty. It makes me think of the type of pattern found on a winter jumper! I’m glad you noticed it. Love the style 1 bracelet but not a fan of this charm. I think the Heart Melter is one that is a love or hate type charm. I think he is really cute but my husband has the same opinion as you. Look out for more reviews coming soon including Cosmo Tommy and Bobby Bot.